32 Days left in this Kickstarter Campaign, but it is 100% funded, well more. They were looking for $70,000 and as of now, they are sitting at $116,000. But that doesn’t mean you cannot contribute. 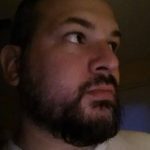 A $60 pledge will get you a copy of the game. Check this out. 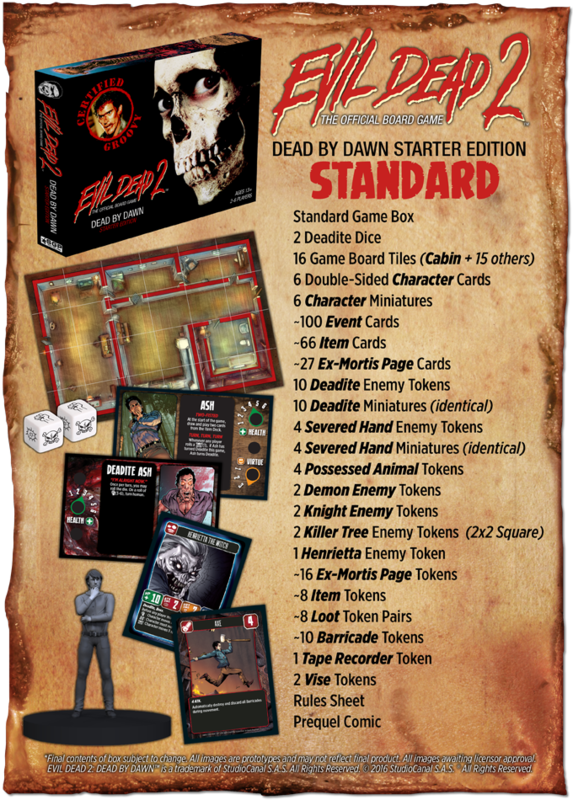 The officially licensed Evil Dead 2 Board Game is the tabletop experience Evil Dead 2 fans have been dying for–featuring at least 8 custom figures with art depicting the terrifying and iconic characters, monsters, and locales from the cult classic film. 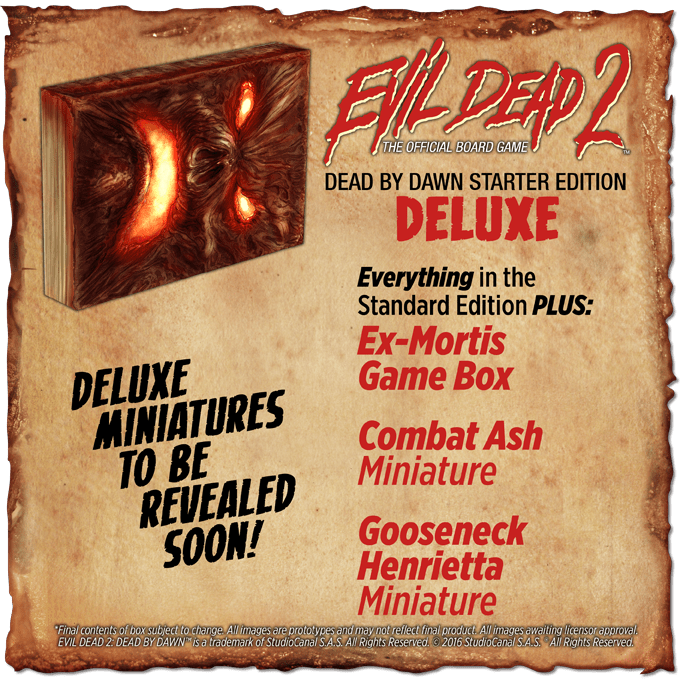 2-6 players will work together in 60–90 minute sessions to gather pages of the Ex-Mortis while trying to survive demon attacks, supernatural events, and avoid turning into evil deadites themselves.